In case you didn’t know, the ukulele was the most popular instrument in American homes in the 1920s. Time passed, and on the wave of guitar-centric Folk and Rock & Roll music of the 1950s and 1960s, the guitar took over. But, then came Brother IZ, aka Israel Kamakawiwoʻole, and his 1993 medley of Somewhere Over The Rainbow and What A Wonderful World, the spark to a worldwide ukulele revival. Fast forward to 2005, when a YouTube video went viral, that of a young man playing a rendition of George Harrison’s and The Beatles’ While My Guitar Gently Weeps. That young man was Jake Shimabukuro, the video blew me away, and from that day forward I started to notice the ukulele…everywhere! YouTube was flooded with uke clips. I suddenly came across articles about the ukulele all over the web. In 2006, BUG (Bellingham Ukulele Group) was founded right here Bellingham by a group of enthusiasts who wanted to gather and make music with each other, to spread the good word of the ukulele, and now they claim 135 members, hold open jam sessions, song circles and workshops. In 2010, BUG co-sponsored the screening of a documentary film titled The Mighty Uke, all about the ukulele revolution. 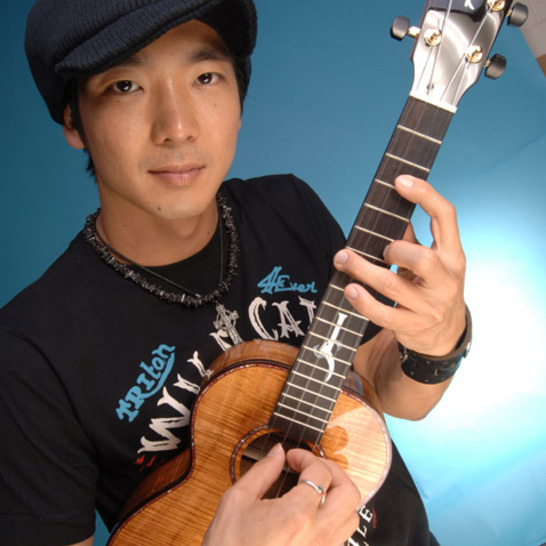 Tonight, Jake Shimabukuro performs in Bellingham at the Performing Arts Center at Western Washington University. And since, as I mentioned a couple of years ago, my son tinkers with the ukulele, I’m particularly thrilled that he and I will be going to the show tonight for a shot in the arm of inspiration. In the meantime, for this week’s Video Fridays installment, I’ve chosen that very first video that I saw of Jake. If you haven’t seen it yet, you’ll be likewise blown away, and if you have seen it, it’s about time you watched it again, isn’t it? This musician is awesome and the ukulele seems more enticing when I see him play it. I’ll need to catch him next time he performs in Bellingham. Enjoy the concert, I know you will. Maybe I’ll hear the music drifting out of the performance hall, if I crack my windows. Some how I missed that Jake was playing in Bellingham, I bet it was a great show.